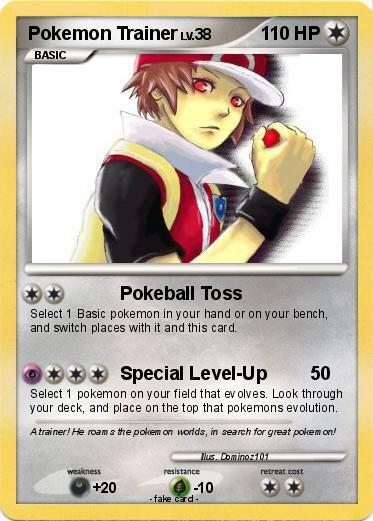 Select 1 Basic pokemon in your hand or on your bench, and switch places with it and this card. Select 1 pokemon on your field that evolves. Look through your deck, and place on the top that pokemons evolution. Comments : A trainer! He roams the pokemon worlds, in search for great pokemon!